Brett's Mobile Welding & Fence Co. Comment: The east side of our fence is starting to come down. Posts and crossbeams are starting to rot and need to be replaced. Comment: Need to replace a pointed wood fence around a smaller patio home, Would like to have steel posts though. 186 S. 122nd E. Ave.
9548 S. 96 E. Ave.
24550 S. Meadow Circle Rd. Tulsa Fence Contractors are rated 4.78 out of 5 based on 472 reviews of 41 pros. 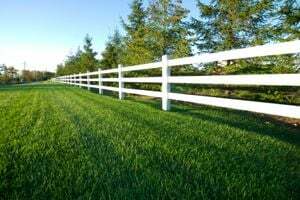 Not Looking for Fences Contractors in Tulsa, OK?